Ward: Anchor Bock seems similar in style to some porters. What characteristics differentiate Anchor Bock? Bob: To start with, Ward, one of the key distinctions between bocks and porters are their respective origins – bock being of German origin and porter originating in Ireland and England. 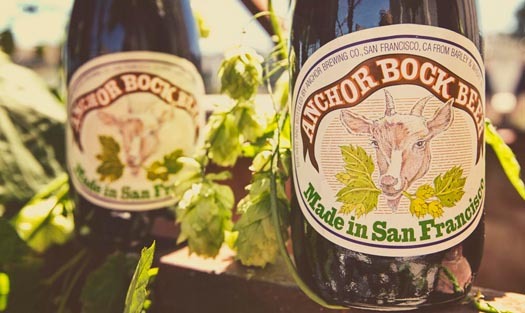 Anchor Bock is our interpretation of bock beer. Historically, every brewery that produced a bock had its own recipe which set it apart from others, especially when it came to American breweries. The stylistic range of bock is very broad, from somewhat light in color to black, and from moderate ABV to quite high. Bock could also be either top or bottom fermented. In the case of Anchor Bock, we make a darker version that is top fermented and full-bodied. You are correct in observing that there are some similarities to a porter here, but bear in mind that stylistically the porter category is very broad as well. Two posts from our archives, Porter: The Entire History and It’s All About Bock, discuss the origins of these two historic beer styles and how they have evolved over the years.